2k announced today that DeMar DeRozan of the Toronto Raptors will be the first Canadian cover athlete for NBA 2k18. 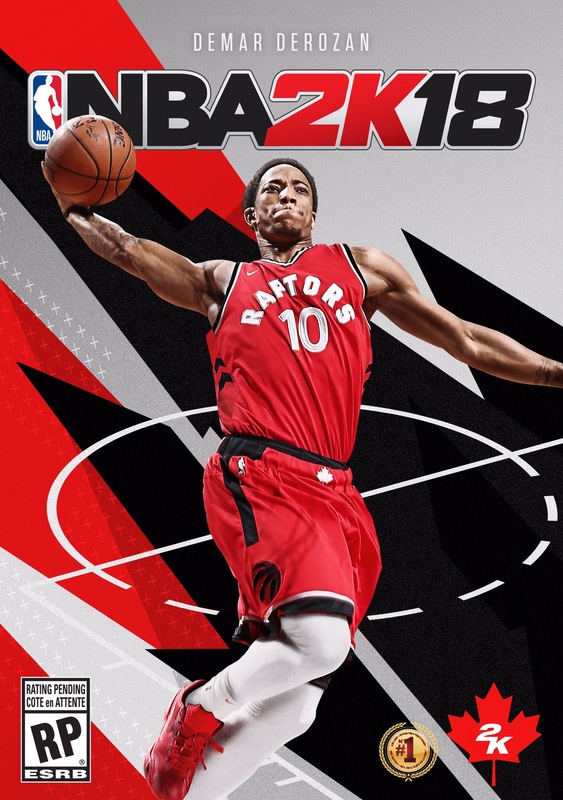 “Canada has always shown tremendous passion for the NBA 2K franchise, so we couldn’t be happier to celebrate this by partnering with one of the NBA elite in DeMar DeRozan to create a NBA 2K18 cover that’s uniquely Canadian,” said Alfie Brody, Vice President of Marketing for NBA 2K. Since being drafted to the Toronto Raptors in 2009, DeMar has been a crucial player for the team, giving repeat power performances and becoming Toronto’s career scoring leader with 11,456 points by the end of the previous NBAseason. His other accolades include being named an NBA All-Star three times and playing in both the 2014 World Cup and the 2016 Summer Olympics.